Home ownership, that great Australian Dream, is harder than ever before. Across the nation, tens of thousands of families are locked-out of homes they can never afford to buy. The rising cost of rent plus day-to-day living expenses makes it almost impossible for these families to save even a minimal deposit for even the most modest home. And the banks, well, they just won’t touch these battlers who, desperate and despondent, feel doomed to a lifetime of renting. Many would do almost anything for the slightest chance to own a home. It’s a national tragedy. And so, when they hear about a scheme called ‘Rent to Buy’, their hopes surge. It’s like offering water to someone dying of thirst. It sounds so simple, so alluring. Instead of renting a home you’ll never own, you can now rent a home that you will own. Surely that’s cause for celebration. And on and on and on it goes. One twisted truth after another. The straight truth, however, goes as follows. Victims of these scams (many of whom do not even realise they are victims until it’s too late) are ripped off in three ways. First, they are charged an exorbitant amount of rent. In just one typical example, a property offered by a mob called Rent 2 Buy Pty Ltd (run by a 35 year-old spiv called Troy Boldy) offers a home for rent in the Sydney suburb of Fairfield at $550 per week. The market rent is about half that amount. Astonishingly, Boldy himself openly admitted yesterday that his rents are “double” the market rent. Okay, so that’s the first part of the rip off. Buyers pay double the market rate for their rent. Second, as well as the exorbitant rent, the “buyers” (victims) pay an exorbitant price for the home. Sticking with the same example of Troy Boldy and the same home in Fairfield, the purchase price being asked for this home is $380,000. Yesterday, a local agent estimated its real value at between $250,000 and $270,000. 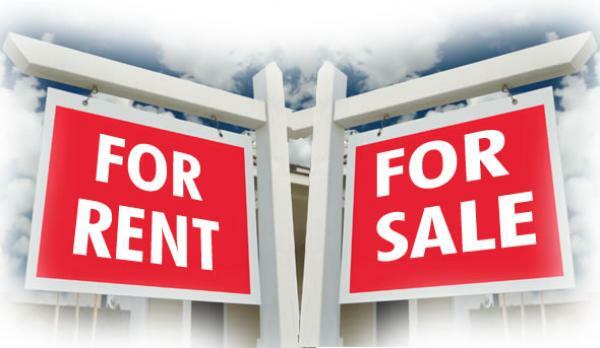 From the moment they sign up with Rent 2 Buy Pty Ltd (or any similar company), they have instant negative equity (meaning they owe at least $100,000 more than their home is worth). The third rip-off with the ‘Rent to Buy’ schemes is that the buyers are not the owners of the homes they are buying. No, the homes remain in the name of the rogues running the scams. Quite simply, this means that if the buyers pay the rogues and the rogues go broke or their companies collapse (as many do) then the buyers – who have done nothing wrong – are instantly evicted. These schemes (sorry, scams) are just a variation of the notorious wrap schemes which were once promoted by get-rich-quick spruikers such as Henry Kaye, Steve McKnight and Rick Otton. Mr Otton still runs seminars – at thousands of dollars a ticket – where he teaches hundreds of wanna-be-property multi-millionaires how to set-up these predatory scams to exploit battlers. As the housing affordability crisis gets worse, more predators will be attracted to these scams. As the trusted finance commentator, Ross Greenwood said: “These could be the financial scandals of the next five years.” He’s right. Go and see an independent lawyer before you sign anything. Any lawyer with any intelligence or integrity will tell you to have nothing to do with these typical ‘Rent to Buy’ schemes.